LONDON: The arrest of a travelling Paris Saint-Germain fan by police for possession of illegal drugs, the discovery of a cache of weapons and damage to Chelsea Women’s home ground overshadowed the London club’s 2-0 win in the first leg of a Women’s Champions League quarter-final on Thursday. 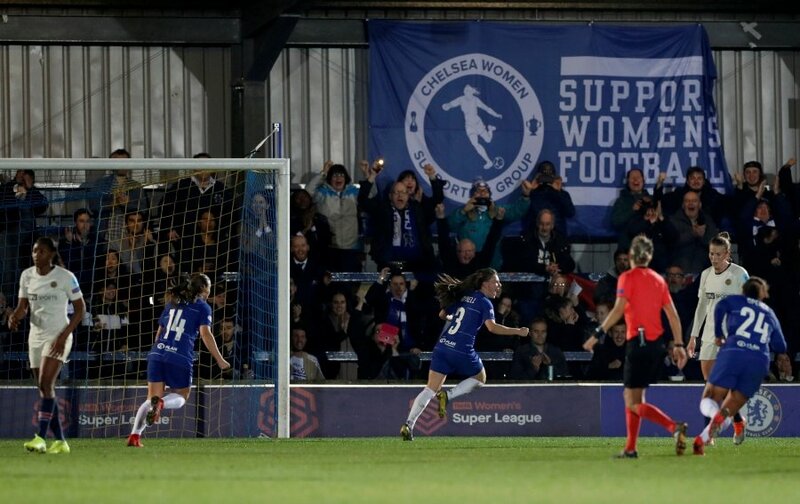 In a statement issued after Thursday’s tie, London’s Metropolitan Police said that at approximately 8:00am local time (0800 GMT), officers were called to reports of a group of PSG supporters causing criminal damage at Kingsmeadow Stadium in Kingston, southwest of London – the home ground of the Chelsea women’s team. Officers attended but all those involved had left the scene, the statement explained. 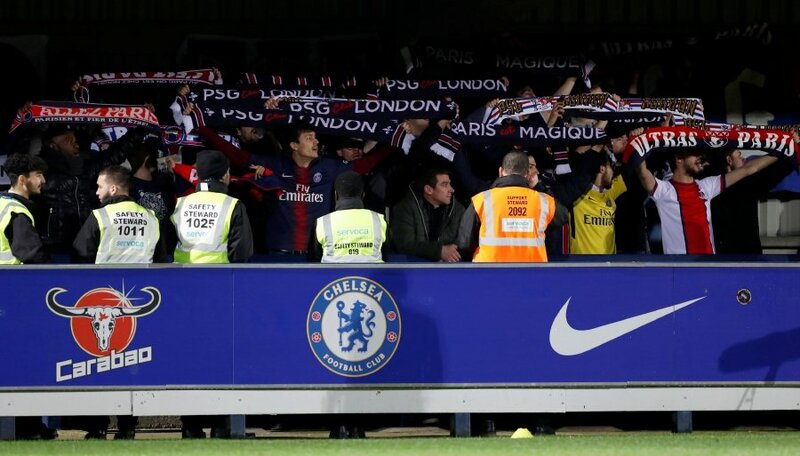 It added that later in the day police were made aware of “sporadic instances of disorder” involving PSG supporters at London’s Waterloo and Wimbledon railway stations. Police said those involved were identified and when they attended Kingsmeadow Stadium later Thursday for the evening kick-off they were stopped, with officers discovering weapons when they boarded a coach that had taken PSG fans to the game. “A coach they travelled in was searched and weapons, including knives and knuckle dusters, were recovered along with class A (illegal) drugs,” police said. Chelsea and PSG do have a history of violence when it comes to men’s matches. In 2004, before a Champions League match in Paris, some 150 members of Chelsea’s notorious ‘Headhunters’ group fought with PSG hooligans, with a pre-season match in London in 2006 and another Champions League tie in Paris in 2014 leading to further violent exchanges involving supporters of the two clubs. On the field, Hannah Blundell and Erin Cuthbert scored late goals as Chelsea won 2-0 on Thursday. Blundell curled Chelsea ahead with a brilliant left-foot shot with 17 minutes left in London before Cuthbert slotted home a second just before full-time. Scotland midfielder Cuthbert will miss next week’s return leg in France though after she was booked in stoppage time.